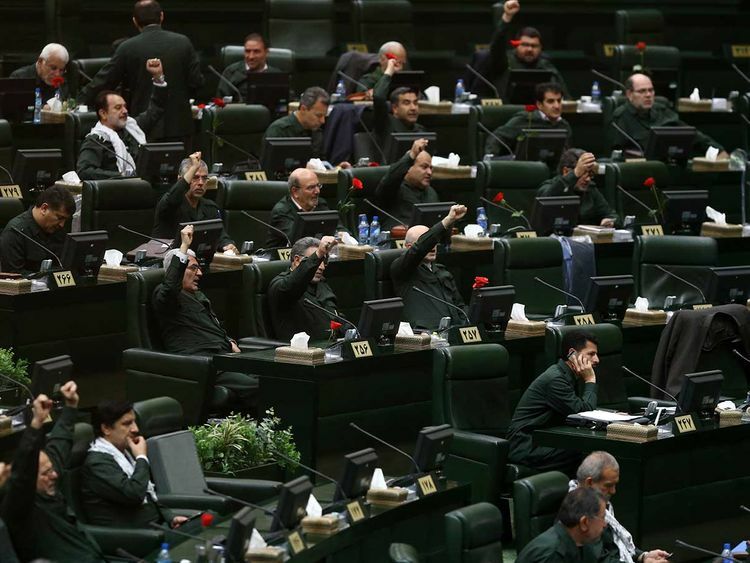 The US classification of the Iranian Revolutionary Guard as a terrorist organisation reaffirms that sanctions on Iran have taken a new turn. The first of which is that the Revolutionary Guard controls one-third of Iran’s economy and its main components such as oil and gas, infrastructure, trade, finance, banking and foreign investment. And through which it finances terrorist operations and interferes in other countries’ affairs. This means sanctions will be imposed on the main economic activities operated by the Revolutionary Guard, which seized state institutions after the fall of the Shah’s regime. They even threatened and competed with the private sector, including bazaar merchants and seizing their projects on false pretexts, turning it into a “Shahbandar”. The vast economic potential the organisation runs is rife with corruption and nepotism, as evidenced by facilities that it built such as dams and bridges that collapsed during recent floods. It is plausible to say that monitoring the implementation of sanctions is not easy. The Revolutionary Guard’s investment arms are operating in Iran and abroad under various names. Following up on sanctions implementation mainly depends on the seriousness of the US administration and its agencies, which knows more than others about the devious methods followed by the entity and the many outlets through which it can work. For example, the foreign minister of Qatar has said: “The sanctions on the Revolutionary Guard are a unilateral action that has nothing to do with Qatar”, which is a clear defiance of US President’s decision. This means Qatar, especially its financial sector, will not adhere to US sanctions and will provide an important outlet for Revolutionary Guards’ financial and commercial transactions. However, the net is closing by tracking such activities in other countries. The US Treasury Department announced last week sanctions against a Lebanese currency exchange. It was proved as being involved in providing services to Hezbollah militia and drug traffickers through money laundering for Hezbollah, which is a client of the Revolutionary Guard. Yet the effectiveness of sanctions will be heavily dependent on controlling Iran-friendly markets such as Qatar. Other sanctions on the Iran regime are being tightened. It is likely that exemptions granted by the US administration to eight key oil importing countries from Iran will be scrapped after they expire in early May. If not, this will put the credibility of the sanctions as a whole at stake. Last year, major importers from China, India and Korea had stopped Iranian oil imports in response to US sanctions, but resumed after being granted temporary exemptions. These companies have begun to freeze their contracts again with Iranian oil companies in preparation for the termination of exemptions and to look at other alternatives. Indian refiners, for instance, have cancelled orders to ship oil from Iran until everything related to the exemptions become clear. The same applies to the companies of the eight exempted countries. It goes without saying that renewing the exemptions means throwing a lifeline to the Tehran regime and reducing the effectiveness of sanctions. No one seeks to harm the Iranian people, but Iran must respect international law and stop its support of terrorism and its interference in the internal affairs of other countries, especially Arab ones. As time goes by, the US sanctions are getting more support. Europe, which was initially hesitant, began to realise the danger of Iran’s ballistic missile programme, which directly threatens Europe. This prompted it to support the 12 conditions at the last G-7 meeting. This means that sanctions this time may change the behaviour of an extremist regime that is deceiving the world, which in turn will contribute to establishing security and stability in this vital region.